Schools…out….for…summer, well almost. We are officially down to 1-1/2 days! Woohoo! I am ready for the break, and as equally ready for a new start come August! To celebrate the coming of summer, I created a Summertime Bingo. It has been added to the free printable collection, even better. 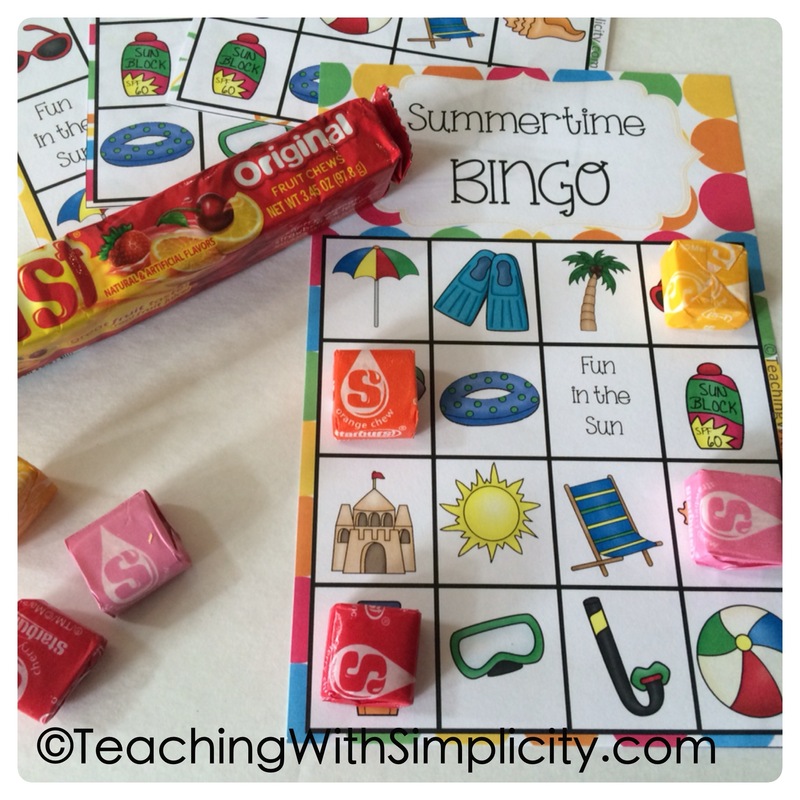 To add a little extra “fun” to the game, we used Starburst as our game pieces. 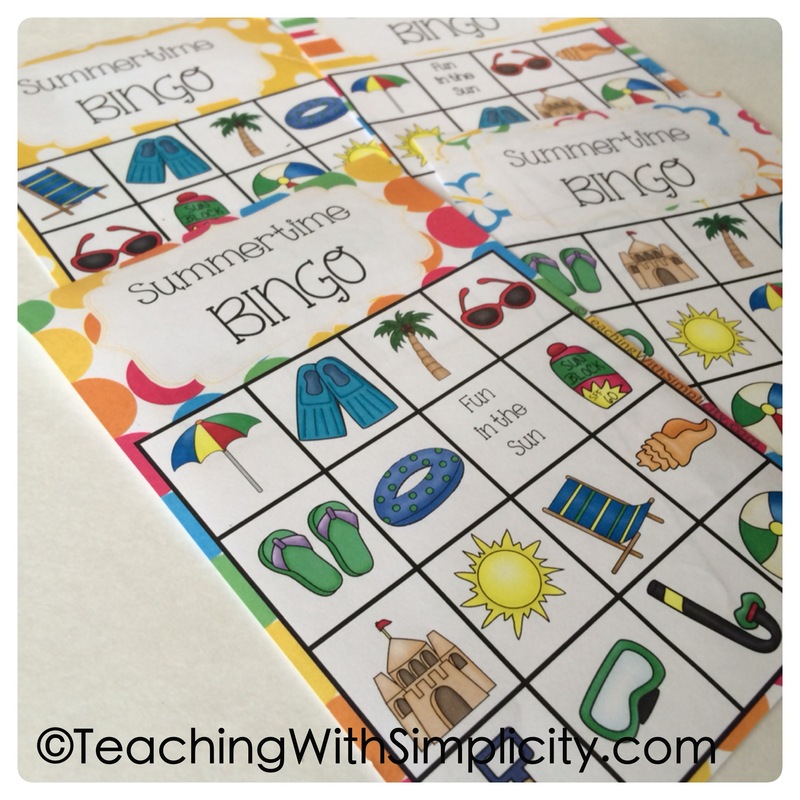 You can grab the FREE printable Summertime Bingo in two places.